Gets soon-to-be-mandatory safety features like front passenger seatbelt reminder and speed alert system as standard. Will also get an updated infotainment system seen on the 2019 WagonR. Will continue to be offered with a 1.2-litre petrol and 5-speed MT/AMT gearbox options. Prices likely to remain unchanged; current range is Rs 4.57 lakh to Rs 7.05 lakh. 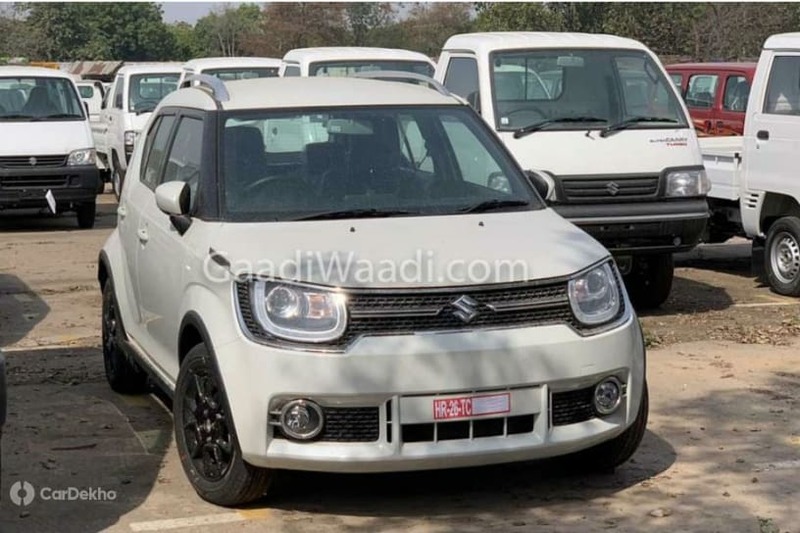 Maruti Suzuki is all set to launch the 2019 Ignis, for which dealers have already started accepting the bookings. It doesn’t receive any cosmetic updates, but a few safety features like a speed alert system and seatbelt reminder for front passenger which was first introduced in Maruti’s lineup with the Ciaz facelift last year. Both the features will be standard across the entire range. Also, according to the spy shots, the only addition that will differentiate the 2019 Ignis from the older model will be the silver roof rails. However, these will be available on the top two variants (Zeta and Alpha). On the inside, the 2019 Ignis is expected to get the updated 7-inch touchscreen infotainment unit (Smartplay Studio) with Apple CarPlay and Android Auto from Harman which has earlier been seen on the new WagonR and the Baleno facelift. Everything else is going to be carried over as is. So the Ignis will only be offered with the 1.2-litre, four-cylinder K12M petrol engine which churns out 83PS of power and 113Nm of peak torque. Transmission options on offer will include a 5-speed manual and 5-speed AMT with a claimed fuel efficiency of 20.89 kmpl. The 1.3-litre, four-cylinder diesel which was discontinued in 2018 isn’t returning with this update. Since this is a minor update, the prices of the 2019 Maruti Ignis are expected to remain relatively unchanged. Currently, the Ignis is priced from Rs 4.67 lakh to Rs 7.05 lakh (ex-showroom Delhi).